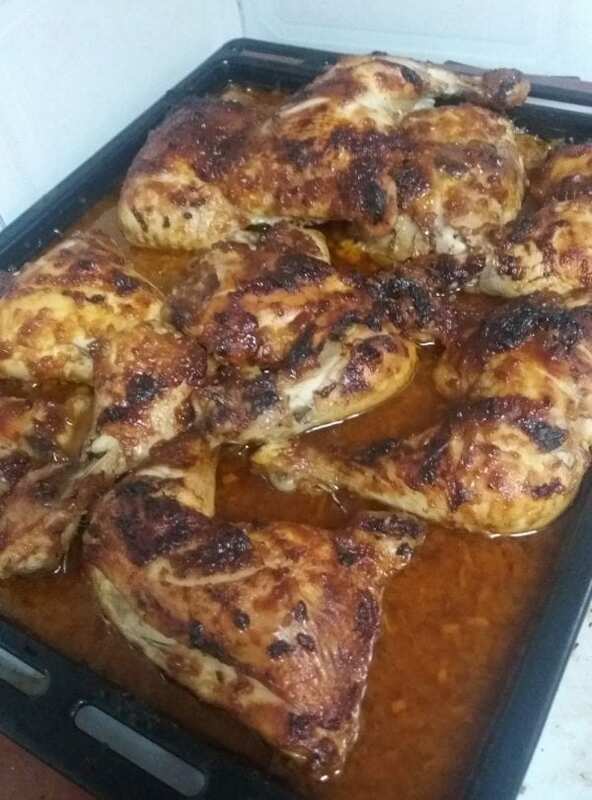 Cook chicken 8 – 10 minutes per side and brown the chicken on both sides. Remove with tongs and place the chicken in a single layer on the bottom of a 9 x 13 (or larger) baking pan or 2 medium size baking pans. In a separate bowl, combine the mustard, maple syrup, vinegar, oil, salt and pepper and whisk or stir until well combined. Toss together the sliced onions and the sauce until its evenly coated. Remove the foil and bake for another 30 – 45 minutes, until cooked through and soft. 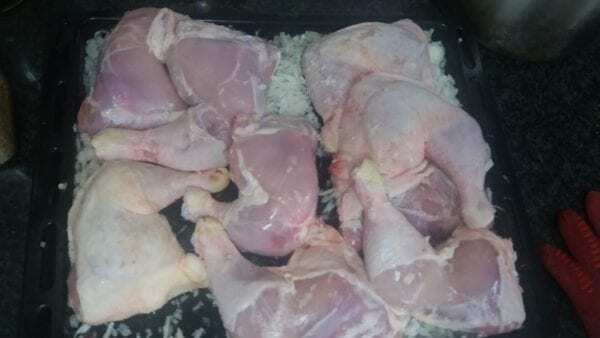 If you prefer your chicken to be very soft, you can leave it covered the entire time – Chava does this, since she likes to have the sauce stay saucey. This chicken recipe freezes nicely! 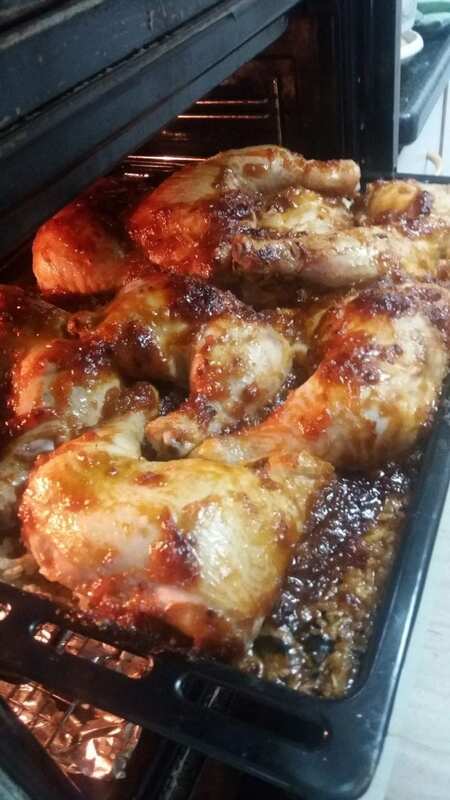 **When Chava makes this dish for Shabbat, she makes the rice separately but in the same fry pan that the chicken was browned in. After it has cooked she adds it over the whole chicken pan to keep the chicken from drying out. Grease a baking pan and place a layer of the thinly sliced onions on the bottom. Then place the chicken, skin side up, single layer, on top of the onions. Set aside. 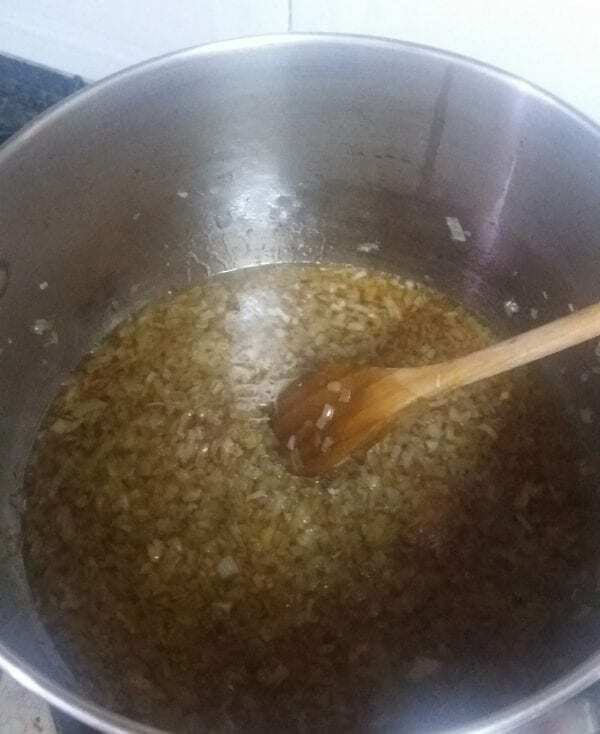 In a medium size saucepan over medium heat fry up the olive oil and chopped onion and garlic together for about 3-5 minutes, until the onion becomes translucent. Add ketchup, vinegar and maple syrup, stirring well after each addition and then add all the remaing spices. Heat to boiling and pour over the chicken. Bake, uncovered, for 1 hour, basting every 20 minutes. Check to make sure chicken is done by piercing a thick part with a fork, if the juice runs clear it is likely done. Mine was falling off the bone! You can use grade A maple syrup, but the maple flavor can get lost in all the spices. We used grade B for this.